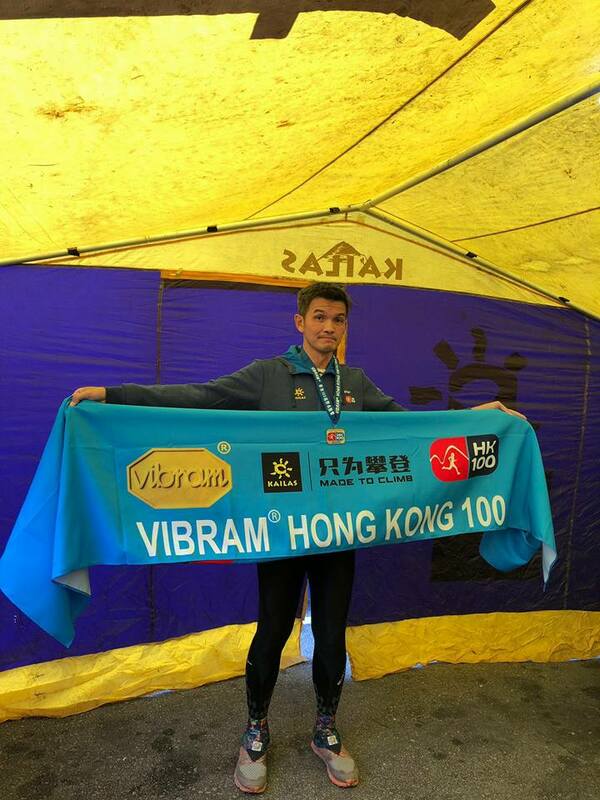 Run Report: Vibram HK 100 (by Supertramp) | JustRunLah! 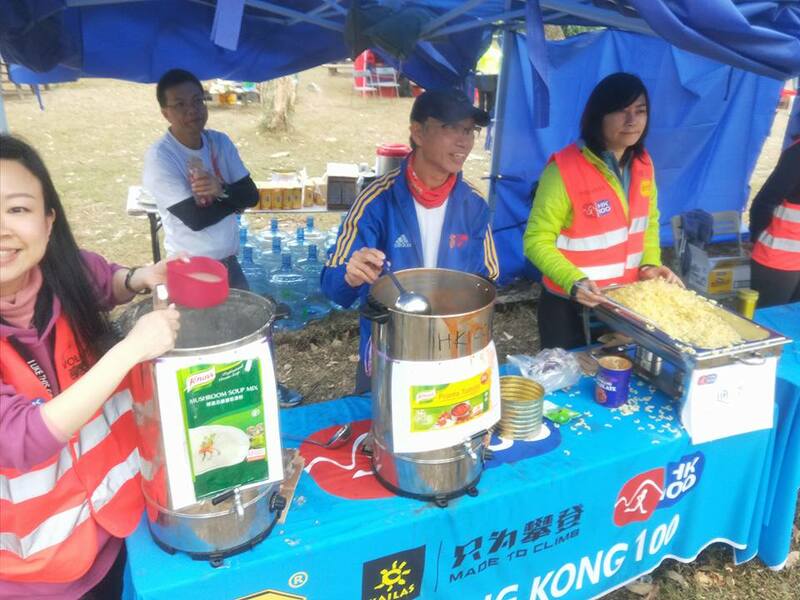 In the weeks leading up to the event, the organizers had been sending out emails in both English and Mandarin on points to take note of for the run. I find this pretty useful and it showed they were consciously keeping runners up to date on happenings. Race pack collection on race briefing day was smooth and fast though location was a little far off with nearest MTR a 10mins walk away. 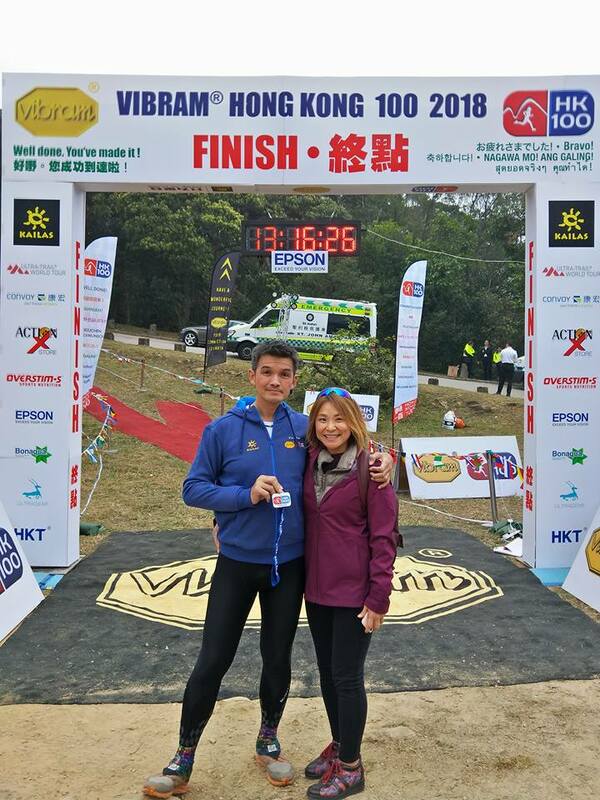 Attending of the race briefing was not compulsory but we decided to come for it since it was our first Vibram HK 100. We arrived at the shuttle bus pick up area 20mins before the scheduled time and there were already a few runners and 3 volunteers there. Was pretty surprised a double decker bus arrived to pick us up and it meant early stairs climbing for some runners. Lucky we were early so we took the seats below deck. Weather was chilly and we were chilled to the bones upon alighting the bus. Many runners were wearing their wind breakers and wind pants though there were some who were only decked out in shorts. 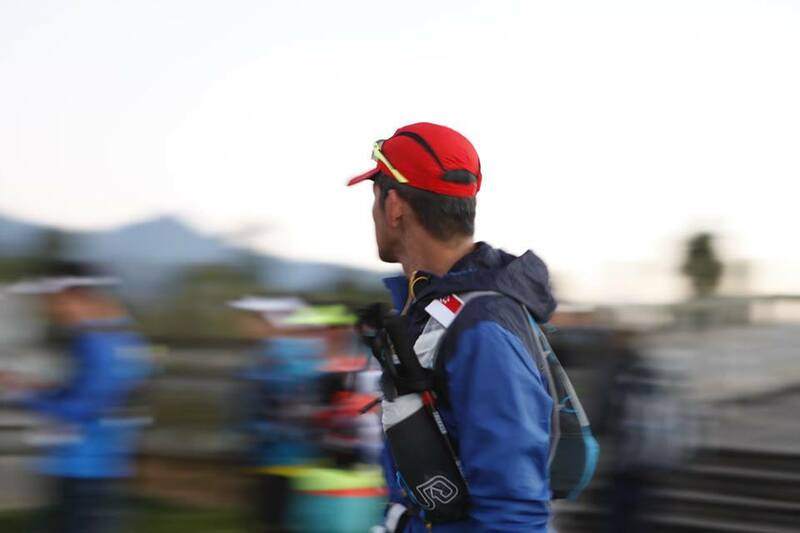 We decided against taking out our wind breakers as the hustle of keeping them once the run commenced seemed to outweigh the need to wear them. Dropping off of drop bags were done with ease. The queue to the toilets were long and it took us a while to get this pre-run ritual of ours done. Met many friends prior to the start and the place had a bustling party atmosphere, something I truly appreciate unlike road runs. We wished everyone best of luck for the run and at 0800hrs sharp, the wave one runners were flagged off followed by us wave two runners 5mins later. As expected, once we started moving we no longer feel cold. So we moved on at a rather steady pace towards Support Point which was at the 11km mark. The expected human jam was not as bad as we saw in past year videos. Terrain was rather okay at this point and when we saw the East Dam, we sped up a little to take in the view and the cold breeze on the dam. Spirit was high and we were enjoying the run. We arrived at the Support Point in about 1hr 50mins getting in a buffer time of 45mins. There were scrambled egg sandwiches nicely individually wrapped on offer and I took 2 of them. Grabbed 2 mini Snicker bars to carry along with me as well. Topped up one of my bottles with the Sports drink which was OverStim and the other bottle with Coke. We left the station about 5mins later. 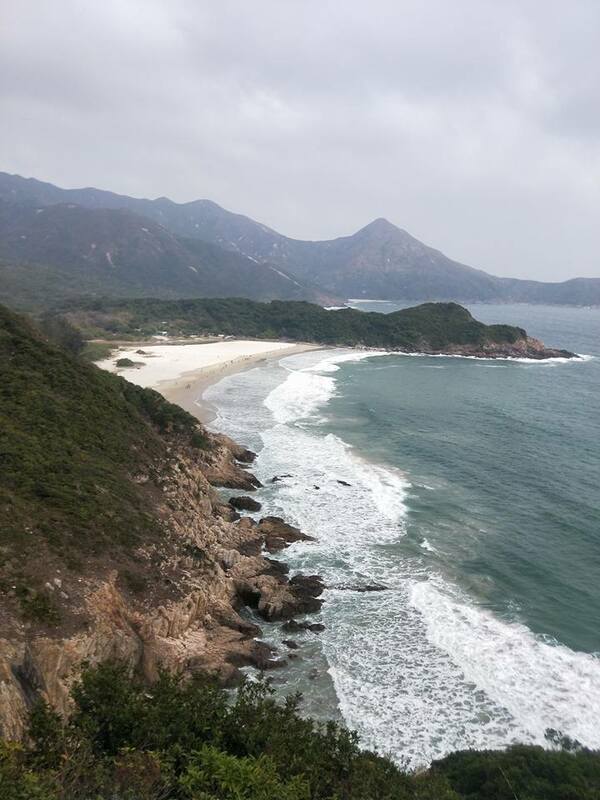 There was a little climb here so it took us a while to clear this Sai Wan Shan afterwhich we were greeted by a beautiful white beach. This was the first time we both ever ran on a sandy beach. The feeling was great though it was hard to get any momentum going with the sinking sand with every step. At about 1200hrs we entered what we thought was CP1 with a total buffer time now of 1hr 45mins. While eating the super sweet oranges, we were surprised to learn from the volunteers that the actual CP is slightly ahead up a small flight of stairs. Once we replenished our drinks we moved on in search of the CP and found it shortly after. There were just 2 volunteers there keying in our BIB numbers into a handheld device. Found it odd they did not do this where we did our replenishment. Next CP 7km away unexpectedly took us more time due to the terrain. There were no climbs but the path was littered with granite rocks and we had to get up and down to get past them. So we moved slower at this stretch. It was also along this stretch where she first told me to go ahead as she felt she was slowing me down. Of course I was having none of it as we had agreed to complete this together. I have no regard for any good timing as I only aim to complete the run together with her. At about 1345hrs, we reached CP2, with a total buffer time of 1hr now. Here we ate some fruits, hit our first packet of Tailwind before moving off after about 7mins. The next 8km was slightly flatter with only 1 major ascent. We moved on steadily and ran when we could. Weather was still chilly but as long as we kept moving we were fine. We entered the CP slightly after 1545hrs, still maintaining a 1hr buffer. It was here where we decided to take a short break and had hot soup and macaroni pasta. We moved off around 1600hrs towards CP4, which was 9km away. We reached here earlier than I expected. Terrain was pretty flat towards the end and we ran through some old abandoned villages. It always fascinates me whenever I see abandoned villages and houses because these were places where people grew up in, where people used to call home. With 1.5hrs of buffer in hand, we left for CP5, which was the midpoint. As it was approaching night, we took out our headlamps in preparation for it. It was here that I encountered my first problem; my headlamp would not work. It was okay the night before at the hotel but somehow it was not working. Spent a good 5mins trying to work it out but alas we decided to give up and instead deployed my handheld torch, something I prepared for the dense fog up in the mountains instead. The next 7km would be the most challenging. Darkness descended soon after we entered the rocky patch and we had to moved on slowly as visibility was not ideal. Throw in a total climb of about 600m, it slowed us to a crawl. 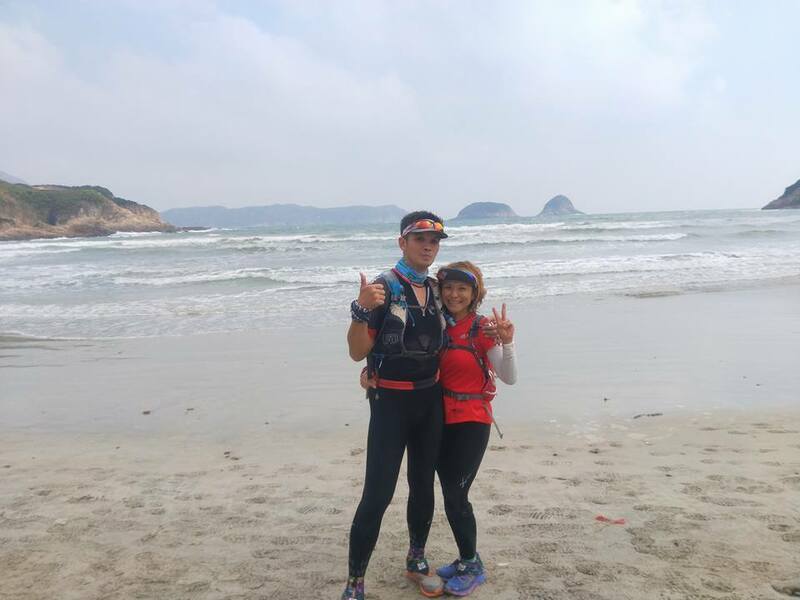 She started experiencing pain in her knees and ankles with the constant ups and downs on the uneven rocky path. I encouraged her to keep moving slowly minding her steps and it hurts me to see her struggling with the terrain as I knew she was determined to go through this. The terrain here in the dark is something we are unable to prepare for back home in Singapore because we have nothing close to this at all. After what seemed like ages, we arrived at CP5 close to 2045hrs, and it was here that she decided to withdraw. It was a painful decision for both of us as this was something we wanted to complete together. But seeing her condition then we both knew withdrawing was best for her. 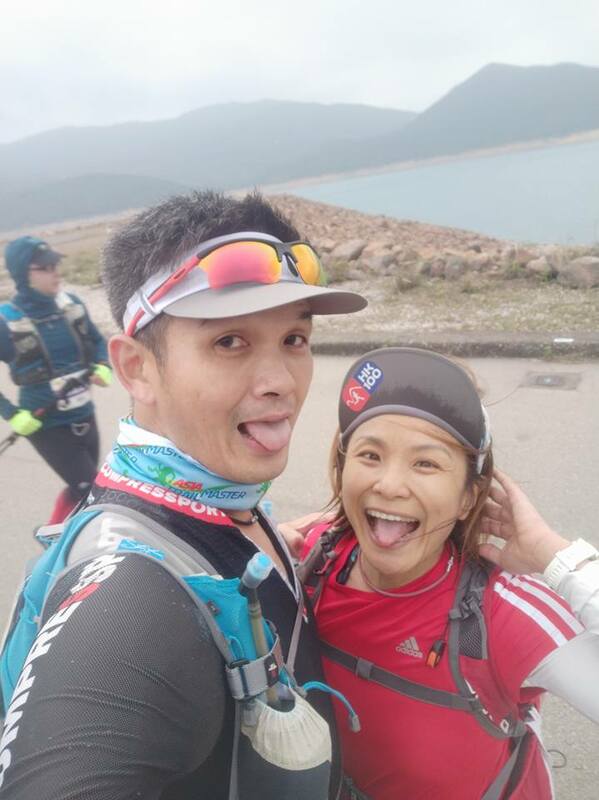 She passed me her headlamp and we refilled one of my water bottles with Tailwind in preparation for the next CP, which was 13km away, the longest interval for the whole course. I took out my powerbank and started to charge my Fenix 3 as well, though as usual it started to give me problem with the occasional refusal to charge. I also made the decision not to carry my poles, which I had prepared in the drop bag here in CP5, for the last half as I felt poles would not help me much if the upcoming terrain is similar to the terrain in the previous 52km. I also did not put on my baselayer. Meaning I basically went on with my day gear. With the COT of 2115hrs looming and the volunteers on the ground hurrying us off, I made another mistake in my haste to get ready; I only refilled one bottle, which was the one with Tailwind. I only realized it after getting my mandatory gear checked (they only checked for headlamp, hand phone and space blanket) about 100m away from CP5. So I embarked on the longest interval of the course armed with only 720ml of Tailwind. It was also here that I realized my hand phone was down to 5% of power. Guess too much photos. So I just shutdown my hand phone to conserve the last 5%. I rationed my liquid intake knowing there was no chance of refilling midway. It was a relentless climb up Ma On Shan so I just slowly moved up. 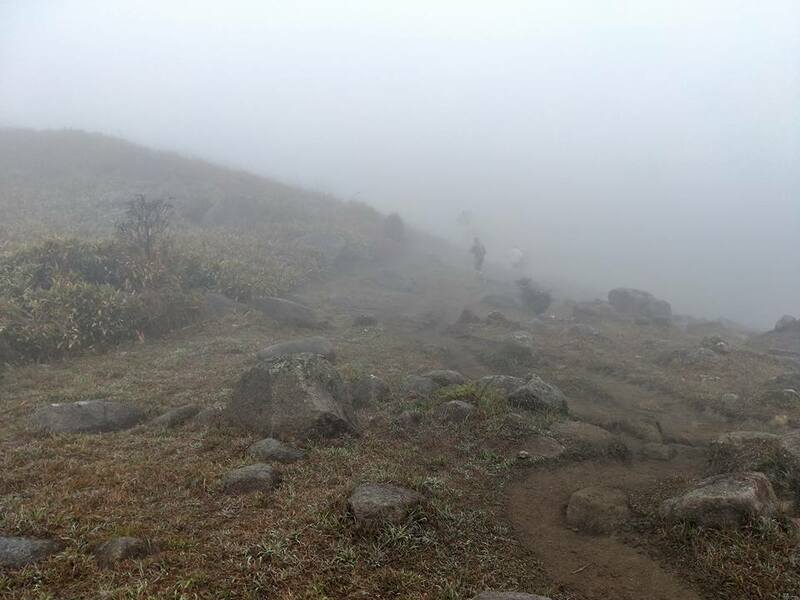 The darkness and the heavy fog I started to encounter as I neared the peak actually aided me in the sense I was unable to see what was coming so I was not psychologically intimidated when I looked up. In fact I did not even realize I was on the ridges of Ma On Shan as fog was all over the place. There were only 2 other runners ahead of me as I can hear them talking. The wind was strong up there and it was very chilly. Thinking it was too much of a hassle to remove my windbreaker there and then, I decided to carry on with my perspiration soaked top as I also know stopping then without any shelter would make me colder. After bombing down the peak, I came across a small hut with runners resting inside. The temptation to also rest was strong so I gave in and joined them there. Barely a minute after I sat down, the chill got to me. So with shivering hands I removed my vest and took out my windbreaker, which felt comfortably warm when I touched it. Windbreaker on, hoodie up, gloves on and I proceeded to catch some sleep. I woke up 10mins later and saw there were now only 2 runners beside me. I was freezingly cold but I knew I had to move. So I grudgedly got up and moved. After walking gingerly for a while, the body started to warm up. That was when I started to run. Then slowly off came the gloves and down came the hoodie. The windbreaker was too tedious to remove as I had to remove the vest before removing it, so I just unzipped it and pulled them to the side of my vest to cool myself. With the cooling (cold) weather, I picked up speed and basically sped down all downhills regardless stairs, gravel paths or granite paths. I think my advantage was that I am always confident going downhill be it day or night more so now armed with my Vibram Megagrip shoes. I trust my shoes thus I had no qualms tackling the terrain in them. My Tailwind ran out about 10km out there. I was very thirsty but I just had to hang on. At close to 1315hrs, I arrived at CP6, gaining a buffer time of 1hr 45mins now. I finally refilled both my bottles here; one still with Coke and one with my own Tailwind. I grabbed a chair and sat down beside the tray of oranges and started eating oranges. Soon I started feeling cold again so, gloves on, hoodie on, windbreaker zipped up. A volunteer came to me and told me I was shivering and asked if I needed a heat pack. I politely declined as I think in my state then, I did not comprehend what is a heat pack. However, she returned awhile later and passed me a heat pack. So there, I used my first ever heat pack in my life and I did feel abit warmer with it. I proceeded on to CP7, 8km away about 10mins later. Once I got moving, again gloves off, hoodie off, windbreaker unzipped to the side. I repeated this ritual at CP8 as well. Shortly after I departed CP7, I felt very sleepy. After struggling for a while, I decided to take a nap along the route rather than struggle on which may slow me down further besides being dangerous. After realizing we were actually running besides some graves, I decided to move further on before napping. Found a stairs by the side and I sat down and slept for about 10mins. After getting up, I saw another runner behind me taking over my ‘bed’. Guess I did choose a good location. After hitting tarmac road, I sped and almost missed the turn up the Beacon Hill as I was following a runner in front. If not for the shouts by runners behind, the 2 of us would have gone an extra mile or two. At about 0400hrs, I entered CP7. I decided to ask around if there was a way for me to charge my hand phone as I wanted to take photos along the way as I know I will not be back again along the same path and this experience would be once in a lifetime. A volunteer agreed to charge my hand phone so I happily refilled my bottles and sat by the bonfire covered with a blanket provided there while waiting for my hand phone. Made the decision to nap here instead of out in the trails. Told myself to move off by 0415hrs regardless how much my hand phone would be charged and then I napped. I was woken up by a volunteer covering me with a thick blanket. I mumbled my thanks before falling asleep again. I opened my eyes and saw that it was 1625hrs already. So I got up, retrieved my hand phone (up to 12% from 2%) and moved on the CP8 with a time buffer of 1hr 15mins. Once I exit Beacon Hill, we had to cross a overhead bridge to get to the other side of the road, which for some reason, I found it funny. I caught up with a runner I met a couple of times earlier and he said he knew it was me because he heard my bell. Actually there were a number of runners who said they were comforted by my bell because with the bell they knew someone was nearby and some even said it kept them awake. I kept running whenever I could since it was tarmac most of the way. I remember along this stretch, I ran past a runner. As usual during this course, I shouted “Ka You” to him and said we are finishing soon! However he was less optimistic and said we have yet to clear the 三大山i.e. the 3 big peaks. Nonetheless I told him we had already done 70+ km, we will definitely complete the course! And surprise surprise, I reached CP8 earlier than I expected at 0615hrs, meaning a buffer of 2hrs 30mins now. Again I asked for help with recharging my hand phone and then went around eating after refilling my bottles. My last Tailwind now in preparation for the infamous last 3 peaks. I texted her to check on her and to let her know my progress. She said she has been tracking me and said I was making good time. At 0625hrs I left CP8 to tackle whatever was left standing between me and the finishing. Day broke shortly after I started to climb the stairs of Needle Hill. Feeling warm and stuffy, I stopped to finally remove my windbreaker and I immediately felt the cold. But I decided against wearing it again as I knew I would be warm as long as I kept moving though the strong wind while slowly climbing was a tad challenging. It was foggy throughout and I vaguely saw another climb while descending. And to my surprise, I arrived at the peak of Needle hill shortly after at 0725hrs. Perhaps I had prepared myself for a longer climb thus I did not expect the peak to come so soon. Next up, Grass Hill. Grass hill was just endless tarmac slopes, so I just moved on slowly. Met a couple of runners along the way and we chatted when we could. Found out one of them was on his 8th trip here and I was like wow, why would you do this 8 times?! Soon at 0825hrs, I peaked at Grass Hill. It was down from here to CP9 so I ran down, reaching CP9 at 0845hrs, buffer time 2hrs 45mins. I did not stay long here as I no longer have my windbreaker on so I will not be able to keep myself warm if I were to cool down. So I refilled, ate a piece of cookie and left. 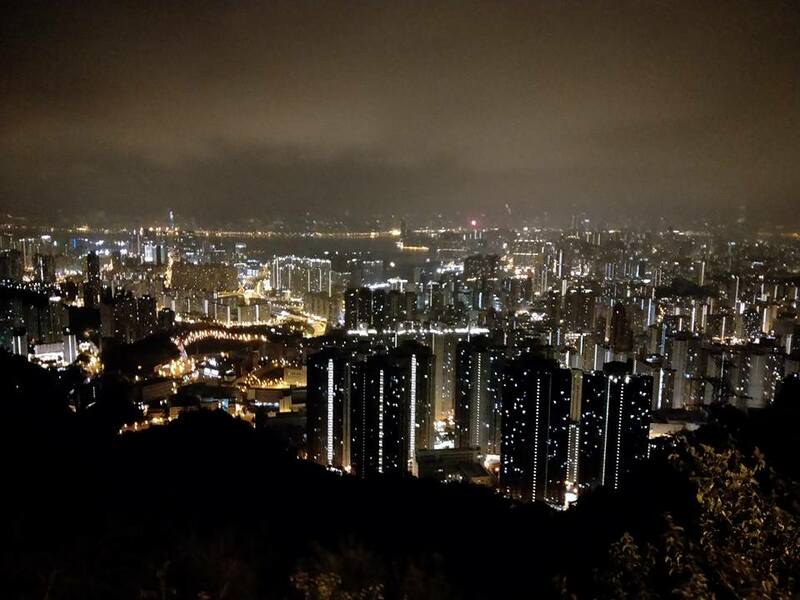 Tai Mo Shan next. Encountered my enemy; stairs, for the last time here. I just kept climbing until I came to some huge boulders. I navigated around them and slowly made my way up. No chance to run here as it was mostly up up. It was endless grass patch littered with rocks for the next 2km or so with a gradual ascent before we hit tarmac road. This tarmac road section was SO BORING! I kept going round and up until at one juncture, I fell asleep right there standing in the middle of the road. It was with great relief that I saw volunteers after I neared the radio station and was told finishing was near and it was down all the way now. Tarmac, down, means, run! I ran down the bends thinking it will lead me to the finishing. WRONG! After about 2km, I was directed into a small trail. Got to know this section was added after the icing incident in 2016. Nonetheless, my spirits were high and I continued speeding down the slopes in the trail. I think I might have sped too fast because soon after I felt a sharp jab at my right knee. Oops. Not a big issue, I just had to be careful where I land my feet. 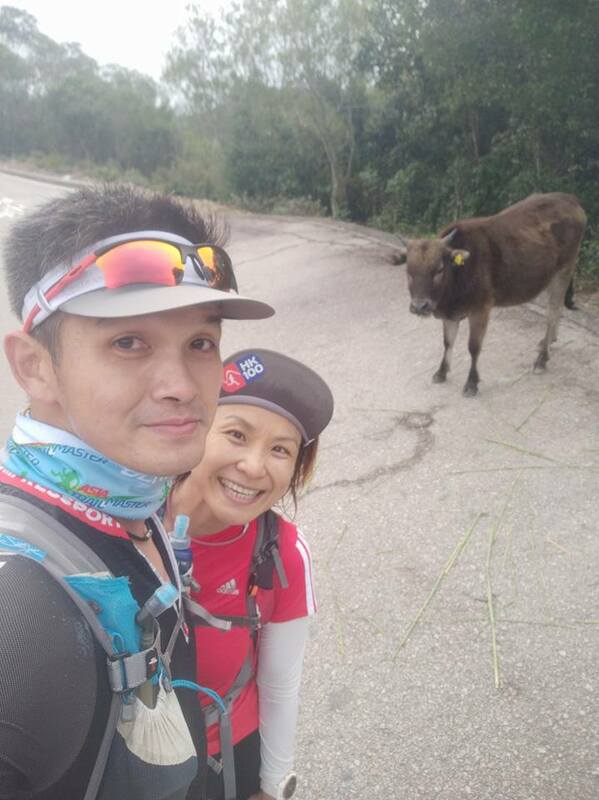 Shouted “Zhou San!” to hikers and runners alike along the way. Saw a familiar face at the end of the stairs and was told the finishing was just a bend away. Brought out my flag and ran the rest of the way down. Upon seeing the finishing arch, I unfurled our red and white flag, carried it over my head and ran across the finishing. And there she was, waiting for me right there. My greatest finisher gift ever. Collected my finisher hoodie and medal before going to the nice warm tent to rest. There were food being served outside but I was too lazy to take out my utensils to get them. 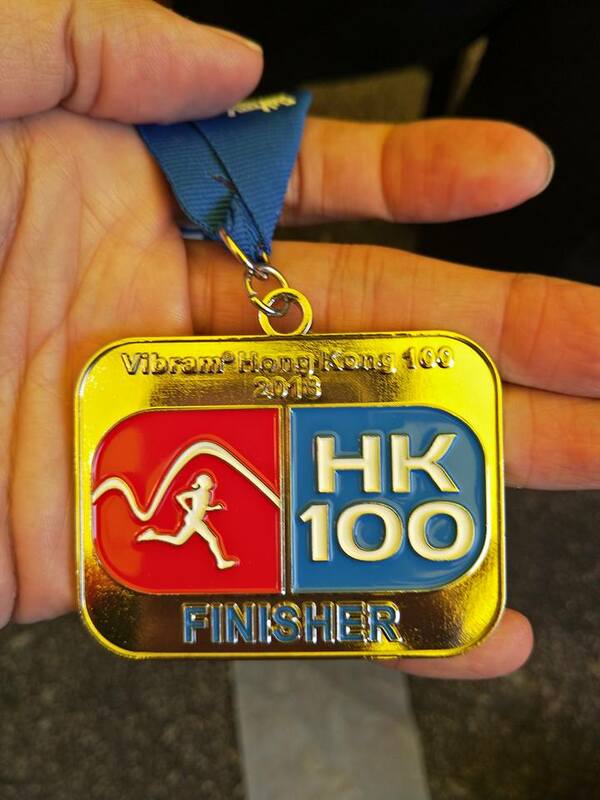 The course was not too tough, perhaps because I was expecting more after hearing about Hong Kong trails for so long. Stairs had always been my pain point thus mentally I was apprehensive of it. The comforting thought I had during the course was what goes up must come down and going down had always been my strong point. So I made use of the ups to catch my breath and rest and made sure I sped down all downs and ran as much as possible on flats. I was told weather was good this year. It was cold but it was colder before. There was no rain thus reducing the chance of going into hypothermia what with my thin gear throughout. I did not eat much as usual as I did not feel the need to especially with the hassle of having to take out our own bowls and utensils to eat. Had lots of oranges and some chocolates during the course. Only drank some soup twice. 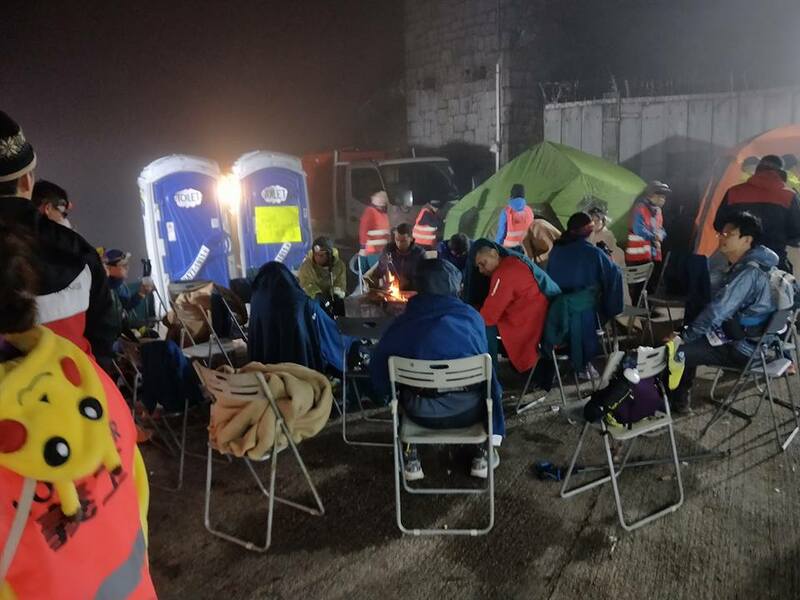 Volunteers were superb taking care of you at the check points. Kudos to them. My greatest regret for this is not being able to complete this with her. Trails were never her cup of tea thus I was grateful that she was willing to give it a shot. And she gave all that she could covering 52km with 2200m of elevation in under 13hrs before her legs could take it no more. 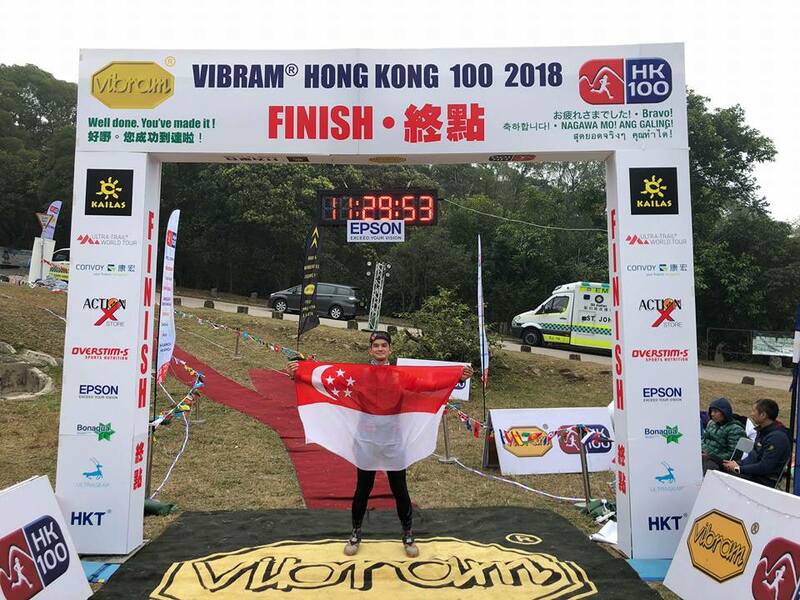 I am very proud of what she had achieved considering that kind of distance and elevation would be a Finisher for most 50km ultra trails. 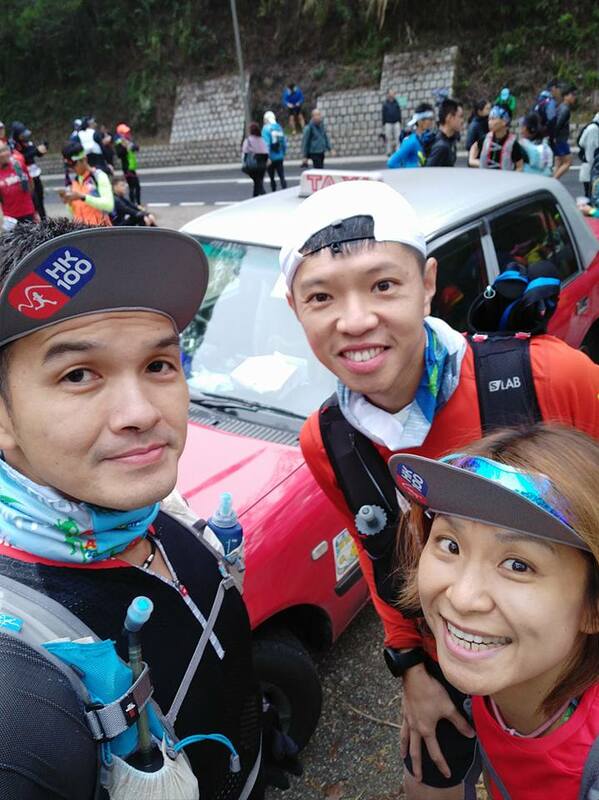 Thank you for the beautiful 52km in the mountains with you. With this, concludes my 21st Ultra and my 2nd 100km Trail finish. A very educational write-up. Thanks for sharing the wonderful overseas insight with us. I bet the views on the mountain are breathtaking. Keep up the distance running Supertramp! Congrats on completing the race. And must be a proud moment for you to display the Singapore flag!